"Training with your own weight"
Never discount the results you can get from serious bodyweight training. Exercises like chin-ups, dips, vertical knee raises and hyperextensions will all build strength and muscle. 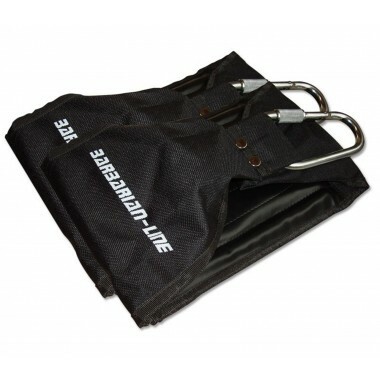 Bodyweight Gym Equipment is devised to use where your bodyweight, combined with gravity, provides the resistance. These exercises like push-ups and chin-ups are very simple can be highly effective and are used by the military or police departments around the world to measure physical fitness. 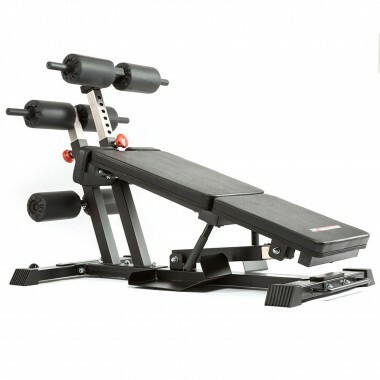 Space saving design, perform your favourite exercises with maximum comfort. 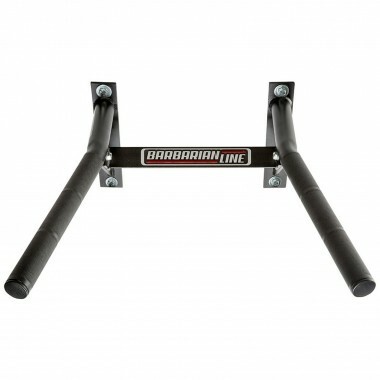 When you browse through our bodyweight equipment you will see that Barbarian Line feature heavily. This is a European fitness brand, where space efficiency is a top priority for European customers. 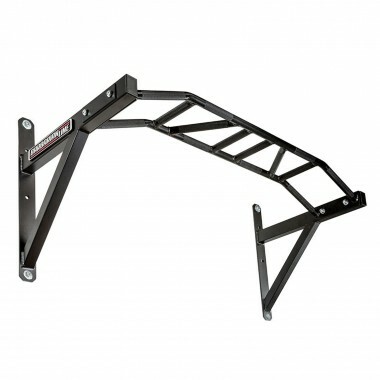 As a result, Barbarian are market leaders when it comes to wall mounted bodyweight gym equipment. On top of being space efficient, European customers demand exceptional quality. 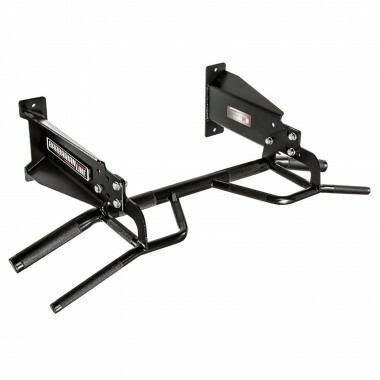 All the Barbarian bodyweight equipment is superbly designed and finished. You might pay extra attention to the Barbarian range of equipment that will last forever. 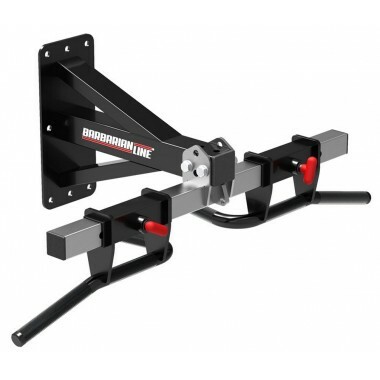 Some advice on wall mounting gym equipment, it is strongly recommended to seek advice from a professional in bolting things to walls. The Barbarian units do not come with bolts. This is because the type of bolt you require may vary according to the material you are attaching to. 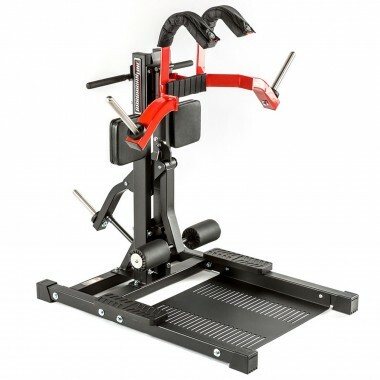 Suspension trainers have not only become popular highly versatile and effective. 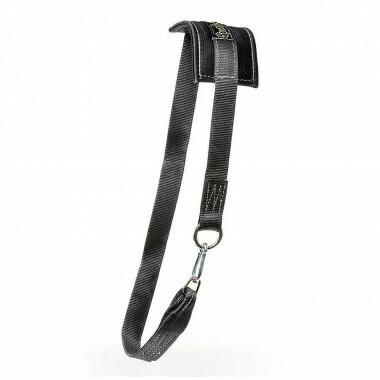 You can suspend these from your power rack, chin up bar or any beam that will support your weight with ease. 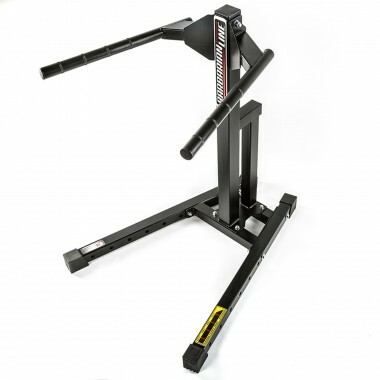 A vertical knee raise is a piece of equipment for doing knee or leg raises. 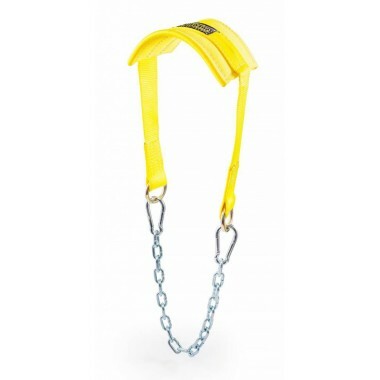 Spud Inc make excellent Hanging Ab Straps which enable you to do this great exercise from your squat rack or pull up bar when you don't have the room in your gym. If you have heard the buzz about effective weight training is for health and well being of people of ages, you might want to just dip your toe in the water and give it a try. Many people, myself included, feel uncomfortable training in commercial gyms for many reasons. The idea of training in your own home gym is appealing. 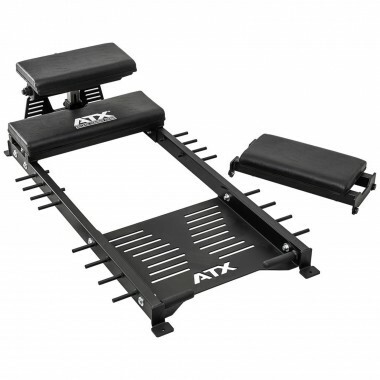 Bodyweight training equipment is ideal for starting out. The training is generally safer (provided you do it correctly), but it is highly effective. Plus the equipment doesn’t require a lot of space or financial investment. Given that it is highly effective, you will be more than impressed with the results and be bitten by the weight training bug! 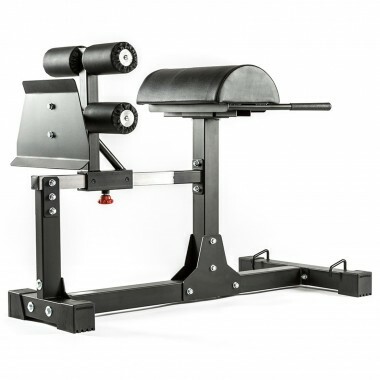 For the weight trainer, bodyweight gym equipment is often relatively inexpensive when compared to multi gyms or power racks and often take up much less space. The list of bodyweight exercises is massive but the three most popular exercises are chin-ups, dips, ab or core work where you are able to get fit without breaking the bank. The majority of bodyweight gym equipment will focus on these areas. Even people who are not familiar with weight training will most likely know about chin ups. For a simple exercise that requires simple equipment this exercise packs a lot of punch. Chin ups work your back, shoulders triceps. As it works for multiple muscle groups it is classified as a compound exercise. These compound exercises are simply the best way to build muscle and strength. A wall or ceiling mounted option is ideal for gyms that need to save on precious floor space. 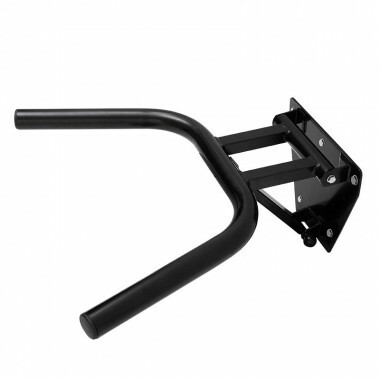 Wall mounting also makes the chin up bar much more affordable than offering it in a stand-alone machine format. While chin ups target the backs and biceps, dips focus on the chest, triceps as well as hitting the shoulders are a perfect compliment to chin ups. Many an impressive upper body has been built on dips and chin ups. Dips also lend themselves to wall mounting. 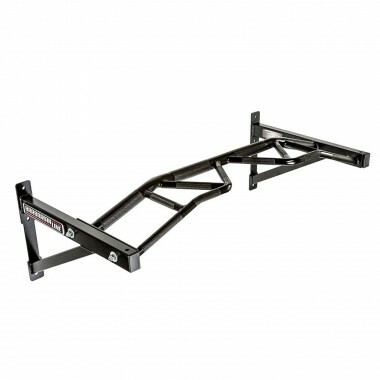 As they are positioned lower to the ground than chin up bars you have the option of selecting a folding version. This further adds to the space-saving appeal of a wall mounted dip station. 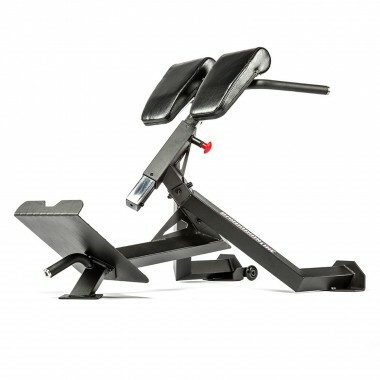 It's like Germans knew that we were skipping on abdominal exercises, they came up with something extremely versatile Crunch/Roman Chair machine. 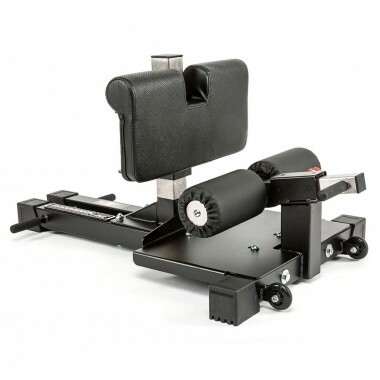 The most compact, effective and affordable leg machine on the market. 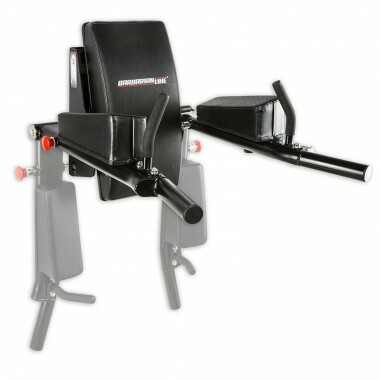 The Barbarian Sissy Squat Machine will target the quads like no other. 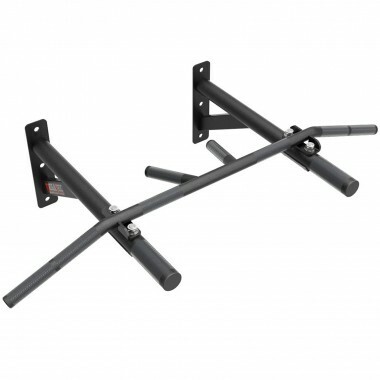 Inspired by Russell Crowe (not really), this chin up bar brings everything you need when doing pull ups. 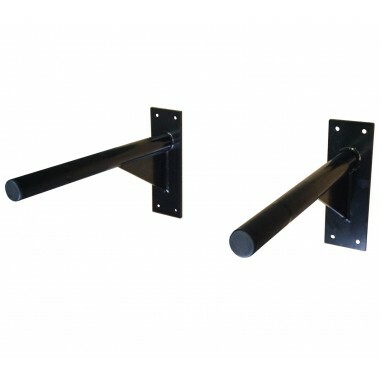 Wall mounting dip handles is always a great way to save space in your gym. 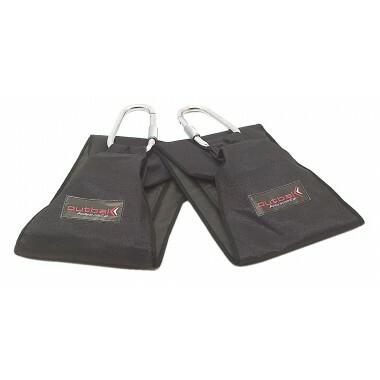 With the added advantage of folding, this dip station by Heavy Duty will save even more space! 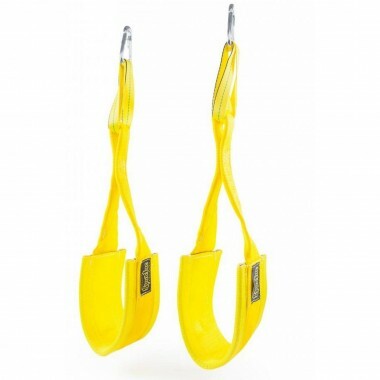 Save space and money with these great dip handles by Heavy Duty. 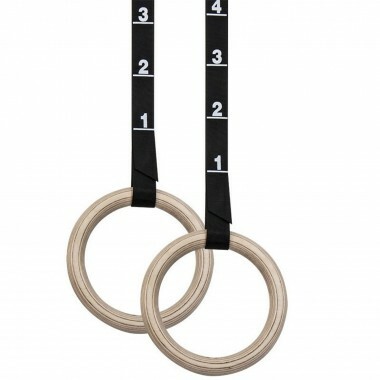 Just mount them up to your wall in your gym, at a width that suits you best. Assisted Dip and Chin Up great for rehab, beginners or just to perfect your form. 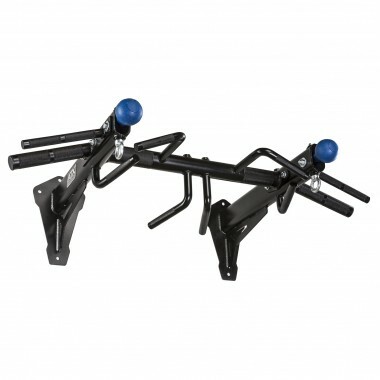 Adjustable chin up bar, adjust it to suit your body for the optimal results. Working your abs and core utilizing your own bodyweight is often the most effective way to perform these exercises. 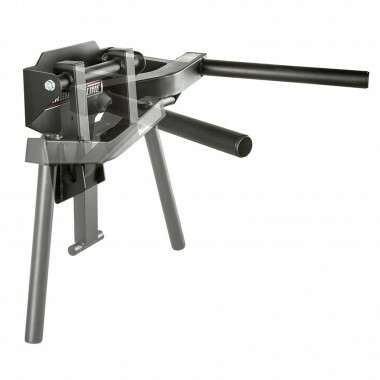 Machines using weight plates or weight stacks are not necessary. To work your abs crunches on the floor are always a staple. You can’t beat hanging knee or leg raises from your chin up bar (yet another reason why they are the best investment for your gym!) to get a serious ab workout. Hyperextensions are another piece of equipment on which you can do quality exercises where weights are required. This not only strengthens your back but allows you stretch as well. Glute Ham Developers is a machine that works the entire posterior chain and has gained popularity in recent years. This is a brutal exercise with bodyweight alone. Bodyweight exercises are generally suitable for all weight trainers regardless of their experience levels. For adults starting out, they will generally be carrying a little extra weight and won’t have the necessary strength to complete a chin-up or dip. With the aid of a resistance band, you can perform assisted dips and chin ups or you can just work on the eccentric part of the movement until your strength progresses. 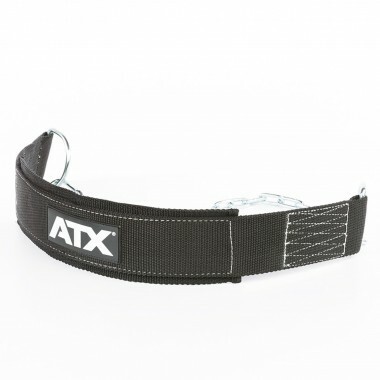 For the serious trainer who has plenty of strength, you can add weight to your dips or chin-ups with a dip belt. For exercises like hyperextensions and glute ham raises you can use a resistance band or weight plate to add resistance. 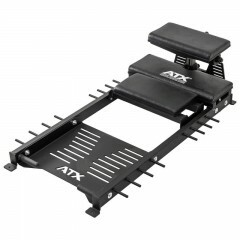 Assisted Squat Harness and Standing Hamstring Curls. What else do you need to have a great leg workout? 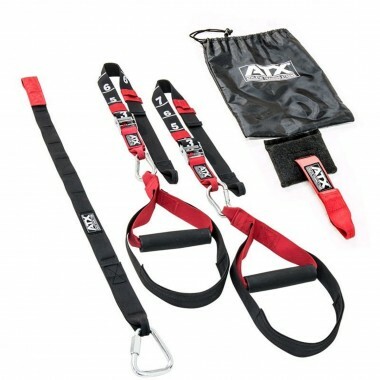 Train your whole body using some of the most effective bodyweight exercises with the ATX Suspension Trainer. From ABS to Lats to Triceps do all of it on the same machine. 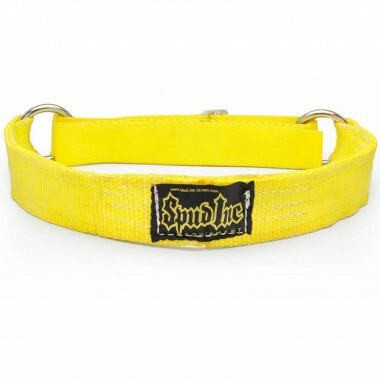 Spud Inc Dip Belt is ideal to increase the resistance in Dips and Pull Ups without any discomfort caused by the belt. 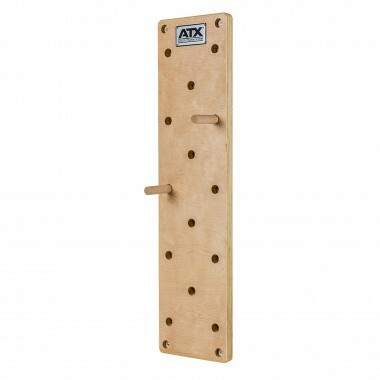 Perform Classic Gymnastics, muscle ups, chin ups, push ups on the adjustable ATX Wooden Gym Set. 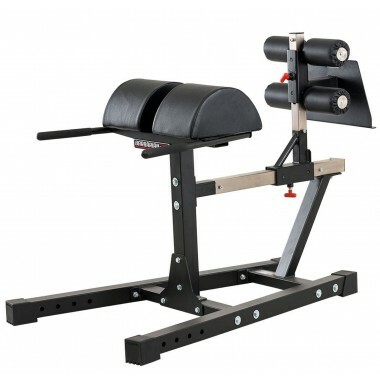 Convert your bench or a sturdy pad into a Glute/Ham extension with just a single strap! 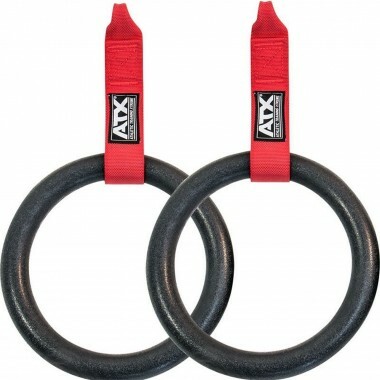 Perform Classic Gymnastics, muscle ups, chin ups, push ups on the adjustable ATX Plastic Gym Rings. 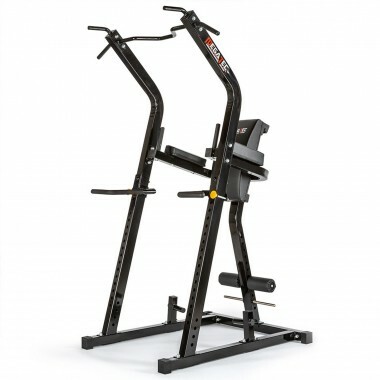 Dips are one of the best upper body exercises around, so finally they are given the love they deserve in the form of a quality stand alone station. 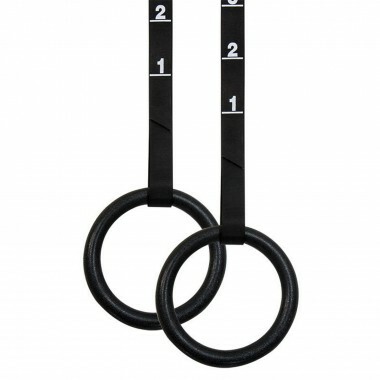 Just hang it off your power rack or anywhere you can attach it and add some variation to your abs workout.